One of my goals this week was to practice hand lettering every day. I accidentally skipped one day, but I’ve managed to take a few minutes each of the rest of the days to practice my brush script. I get kind of overwhelmed when I go through the workbooks I got, so I mostly just practiced the actual handwriting style, not the design aspects of hand lettering. ← Baby Shower for Twins.. Also: How Old Am I? These are so cool! 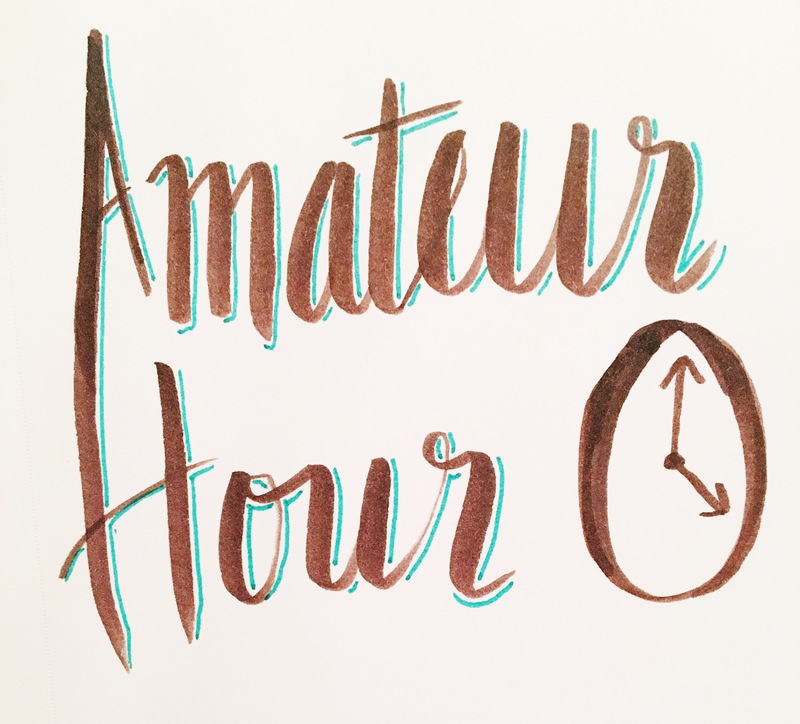 Especially the “Amateur Hour” one, with the blue shadows behind the letters; it looks so elegant. Maybe I should get into hand lettering, it looks like fun!